So, since my last post, I’ve managed to tackle more of the infantry in my force, the Terminators! 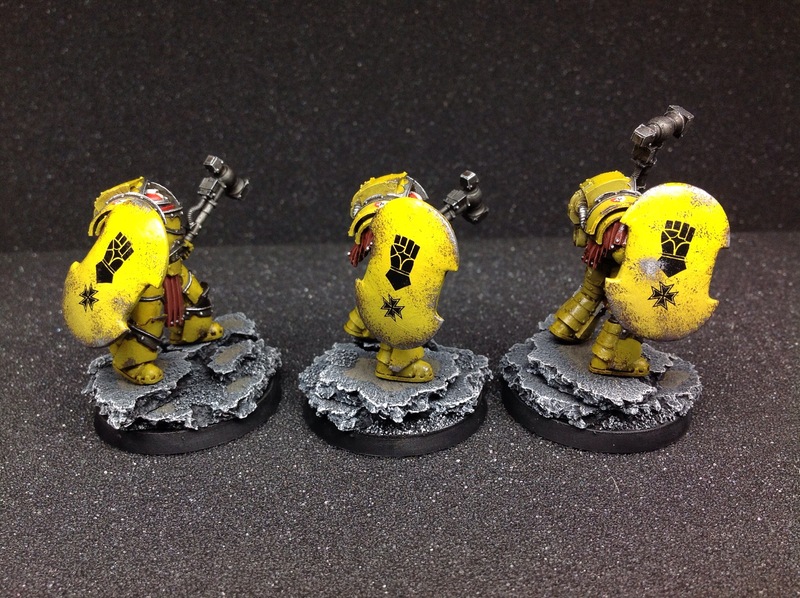 I decided to paint up a full squad of 10, armed with combi-bolters, powerfists, and 2 Reaper Autocannon. These were to fulfil a tactical role within my army. I started in the usual way, giving them a thorough soak and scrub to remove the mould release agent, and mounted the separate parts on pins for painting. Now, I got a bit carried away, and neglected to take photos of them during painting, but, unlike my other infantry, I wanted to try the airbrush to start these off. I used the same colours as my vehicles, VMA Dark Yellow & VMA Golden Yellow. I used a grey undercoat with VMA white sprayed on to areas I wanted to highlight, such as the top of the carapace, shoulders, and also mid thigh and the lower greaves. 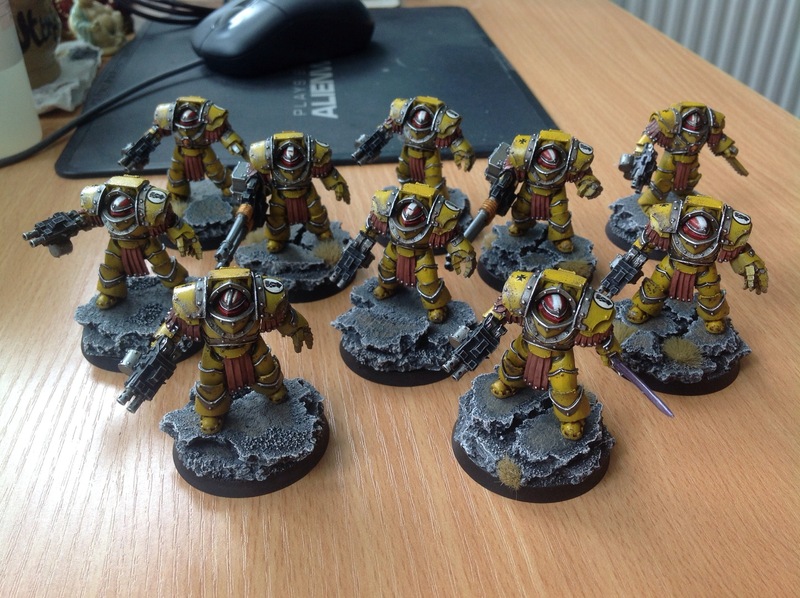 Once I got the figures painted up, I decided to use the sponge weathering technique I had used on my Falchion and Spartan, instead of the painted on chipping I had used on my other infantry. Not sure wether I should have changed technique halfway through painting my army. Hmm. 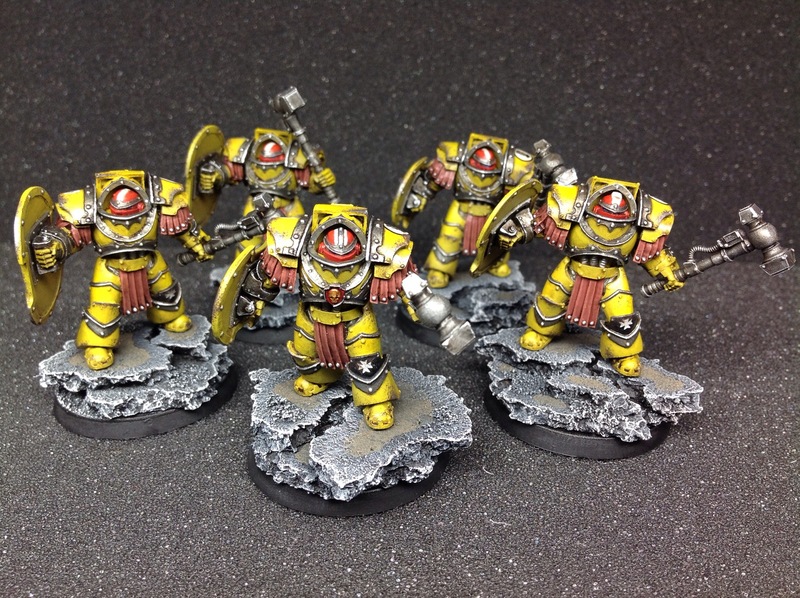 After finishing these, I wanted some terminators to be equipped with thunder hammers and storm shields. 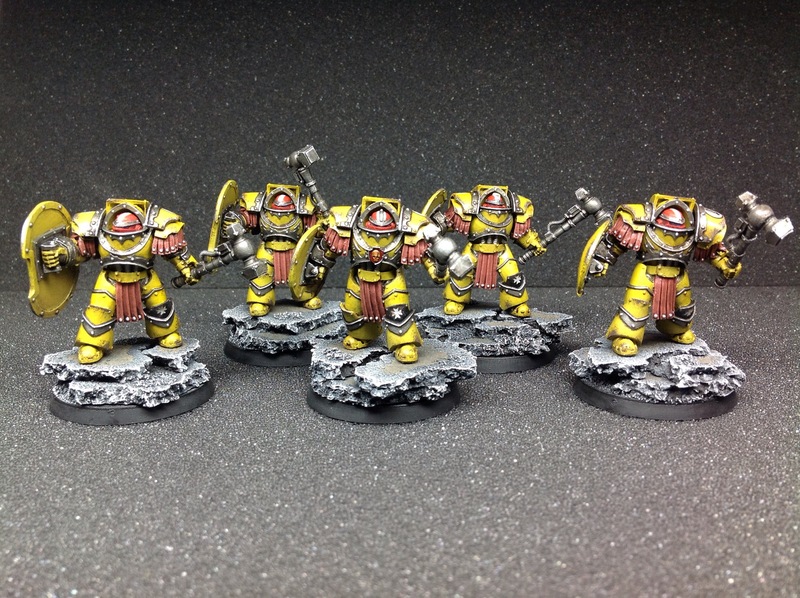 Forgeworld don’t currently produce a set compatible with the Cataphractii terminators, so conversion was the only way forward. The Salamander Firedrakes were going to be my donor models, though I couldn’t justify buying the whole unit just for the bits, so I ordered some storm shields and matching arms from an online bits seller. It broke my heart having to file all of the fantastic detail off the shields, but it had to be done. Cracking job mate! Can i ask what pins are you using? Cheers! Hi. 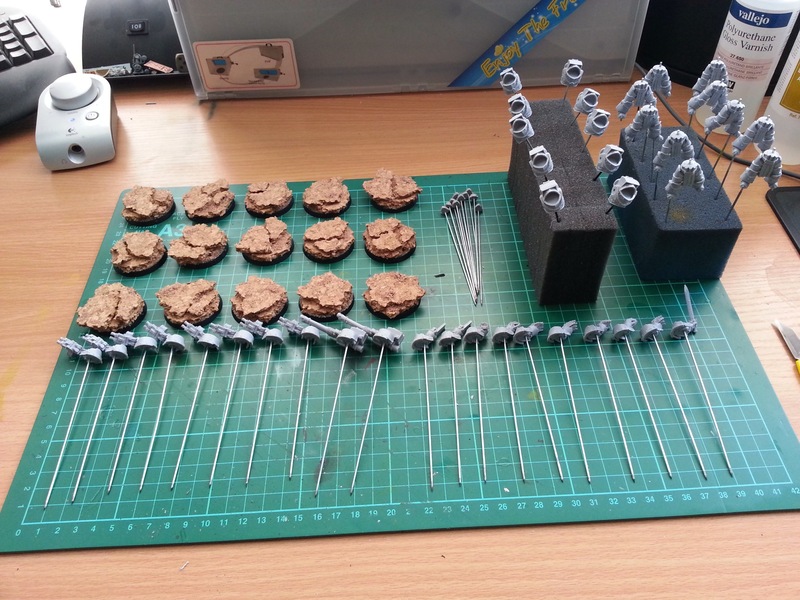 I use wire spears designed for 28mm historical gaming figures for my pins. They have a point at one end which I can stick into a foam block when painting etc. They’re strong enough for larger models too. Thanks & all the best!